Love Heating was set up by Simon Love in 2012. Simon has over 17 years experience in both commercial and domestic plumbing and heating. 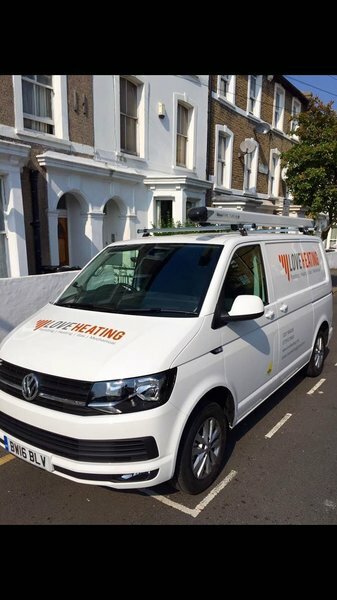 Love Heating offers a wide range of services throughout London covering everything from large site contracts to small repairs. Our engineers are gas safe registered. As Vaillant advanced installers, we are able to offer extended warranties on Vaillant boilers. 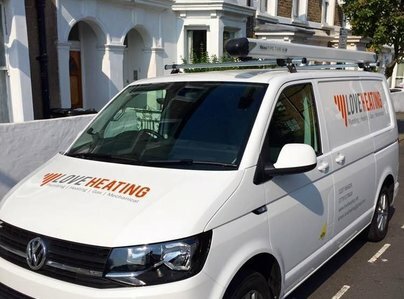 Love Heating has wide experience of supplying mechanical services to main contractors of hi-spec residential and commercial projects, from new-build through to occupied refurbishment. We also specialise in maintenance checks, fault diagnosis and repairs to all systems. We are dedicated to meeting deadlines and well disciplined when working to schedules. We are committed to finding the most efficient and practical solutions for each individual application. Simon installed a new boiler for us. Despite being on holiday he replied to my enquiry and sent a quote straight away. Arrived on time and worked really hard. Great work, tidy, reliable, trustworthy, very helpful (explained all the details to me) and friendly. Couldn’t have done a better job!! Would definitely recommend Simon for any plumbing work. High-level service and quality for similar price compared to other companies. Simon came out and checked out my dead boiler and offered well-priced quotes the same day. The new boiler was fitted in one day while I was away at work. No major moving of pipework was needed thankfully! Very pleased with the new boiler. Love Heating is highly recommended, informative and very trustworthy. Simon gave us great advice on which boiler would work best, was really helpful, fast, efficient and solved any problems that came up when he arrived. I genuinely couldn't recommend him highly enough! Simon replaced our electric boiler. He initially suggested ways to fix the problem that would avoid the need for a full replacement and so minimise the cost, which was much appreciated. However, on closer investigation a replacement was worthwhile. He was flexible on the timing, was very polite, efficient and did a very neat installation. He even gave our neighbour some helpful plumbing advice! I highly recommend Simon. I woke up and my heater didn't - so I wanted someone quickly. Simon, despite being busy, fitted me in. All done professionally and efficiently and for less than he quoted. My boiler died and Simon said I would be wasting money on repairing as it was so old. He replaced it with a new combi boiler, this involved taking out the old heating system with tanks and immersion that was in the cupboard. He did a really good job in a confined space and freed up an airing cupboard. He is now my plumber of choice in London (very clean tidy worker as well). Love Heating did a great job replacing my boiler. Their quote was cheaper than most I received. They were happy to talk me through my choice of boilers and I went with their recommendation which saved me even more money. The job was done quickly with no fuss. Very importantly, the chap was clean and left the place as he found it. Simon installed a new boiler in my flat very quickly and efficiently. He came on time, cleaned up after himself and did a very neat job. He even fixed a small leak he found while doing the work for free. He was very pleasant to deal with and his quote was less than 2/3 of the British Gas one for the same job.